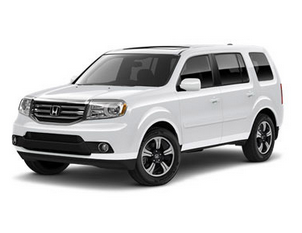 Honda will feature a brand new Special Edition trim level for the 2015 Pilot. This SE model is positioned between the EX and EX-L trim levels and will feature pewter gray aluminum alloy wheels, special badging, one-touch-open moonroof with tilt feature, Sirius XM radio and a Honda DVD Rear Entertainment System. The 2WD version will price out at $33,120* and the 4WD $34,720*. *MSRP excluding tax, license, registration, $830 destination charge and options.